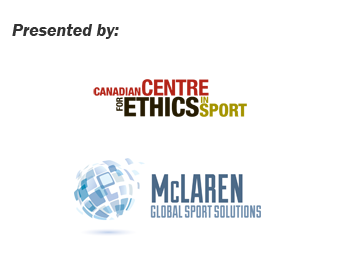 The ten privacy principles of the Canadian Centre for Ethics in Sport (CCES) comply with the provisions of Canada's Personal Information Protection and Electronic Documents Act (PIPEDA). Although the CCES is not directly subject to the Act, the legislation establishes best practices widely observed in the business and service communities. We are responsible for maintaining and protecting the information we have about you. The purpose for which your information is being collected will be explained to you either before or when it is collected. In summary, we collect contact information of subscribers for the purpose of delivering CCES related content and information. We will obtain your consent to collect, hold, use and disclose your information. This will be done by providing you with a Privacy Protection Notice when you provide personal information to the CCES or by providing it to you in a separate communication. We provide you with a Privacy Protection Notice at the time you submit personal information or otherwise contact us electronically. The Privacy Protection Notice may also be sent to you in a separate communication. The Privacy Protection Notice explains how we collect, hold, use and disclose your information. By signing an application form and/or continuing to do business with us, you are consenting to the use of your information. We will limit the information we collect to what is needed for those purposes the CCES has identified (news distribution list and medication inquiries). We will use and disclose your information only for the purposes we have identified, or when it is required or permitted by law. We retain your information only for as long as is necessary for the fulfillment of these purposes. We keep your information as accurate, complete and up to date as is necessary for these purposes. We protect your information with appropriate safeguards and security measures. Our employees and service providers have access to your information provided the information is required for the identified purposes and access is permitted only to the extent necessary for such purposes. In addition, we have taken several measures to protect your information, such as restricting physical access to our offices and using computer passwords and file encryption for on-line activities. Upon your request, we will provide you with specific details about our information handling policies and procedures. Contact the CCES. We will investigate and respond to your concerns about any aspect of our handling of your information. Contact the CCES. This is an offer made by the CCES to you under which you are invited to browse, peruse and interact with the content of the Club Excellence website for the purposes of your own personal education, information, entertainment and/or communication with the CCES. This offer is expressly conditional on your acceptance of these terms and conditions. This agreement represents the entire agreement between you and the CCES concerning access to the Club Excellence website and takes precedence over all such existing communications and/or agreements. You acknowledge that while every effort is made to ensure that all information contained in the Club Excellence website is accurate and up-to-date, the CCES makes no warranty as to its accuracy. You accept that any and all use of information contained on the Club Excellence website is at your own risk. The CCES shall not be liable for any direct or consequential loss arising from your access to and/or use of or inability to access and/or use the Club Excellence website, or any erroneous or omitted information contained on the Club Excellence website. If necessary, you are asked to contact the CCES about any information that you find, or do not find, on this website. Throughout the Club Excellence website, there are many opportunities for third party contribution to the information available to readers. This material does not necessarily reflect the views or the positions of the CCES on any given topic in question but, merely presents an opportunity to highlight a variety of opinions in the hopes of sparking a discussion within the sport community. You accept that the entire content of the Club Excellence website is protected by copyright and that the CCES is either the proprietor or licensee of all copyright in the material contained on the Club Excellence website. The CCES reserves all its rights as copyright proprietor of the CCES website and prohibits without limitation distribution, exhibition, copying, adaptation, reposting, modification of and dealing in any copyright material contained therein save as expressly provided herein without the express written authorization of the Club Excellence website. You acknowledge that the CCES reserves all its rights as proprietor of all its trademarks and logos.